There are several conditions which can give rise to white patches on the skin. While most of them are harmless and can be treated at home, diseases like Vitiligo needs early medical attention and is usually difficult to cure. So it is important to know about common conditions which give rise to white patches on the skin and when to seek medical help. Skin diseases where white patches appear on the skin are Vitiligo, Atopic dermatitis (Eczema), Pityriasis Versicolor, Sunspots, in certain vitamin deficiencies and Pityriasis Alba. Vitiligo is a distressing skin condition, where white patches appear in the skin. It is due to loss of pigment (color) from areas of the skin. There are certain cells called melanocytes in the skin which produce melanin, which is the pigment that gives us color. When the melanocytes are destroyed, the melanin production gets affected making that area of skin looking pale or white. The destruction of melanocytes can occur due to problems with the immune system or self-destruct due to unknown causes. It may be due to an autoimmune condition. This means that your own immune system which normally protects you from infection causes the damage. When there are no melanocytes to produce melanin we lose the color in that area of skin. Vitiligo is more obvious in people with darker skin. Though it is incurable vitiligo skin treatment is available. Vitiligo can occur at any age. Men and women are equally affected. About 1 in 100 people can get it. Sometimes it runs in families. No, you cannot get it from an affected person. So please don’t avoid them or stigmatize, as they are already distressed. What are the common areas of skin to get Vitiligo? The most common sites to get vitiligo are hands, face including lips, neck, and scalp. It can start in a place where the skin is damaged like on a cut or burned wound. However, any area of the skin can get affected. Rarely the whole body can get affected and the person may look like an Albino. The white patches can gradually become bigger or spread to other sites, depending on the destruction of melanocytes. When someone who had a flawless skin suddenly develops vitiligo patches it may be really distressing. Some people can get depressed. Usually, there is no pain or itching. However, the affected area of the skin can get sunburnt easily as there is no protection to skin when the melanin is absent. Usually, Vitiligo is not curable. However, it can be controlled. The best cure for vitiligo is to consult a qualified dermatologist without delay. There are creams and ointments like steroids and tacrolimus which can be applied only on the patches. This defers on the area of the patch and its size. Never use strong steroids on your own unless prescribed as prolonged use can lead to thinning of skin or stretch marks. Skin grafts – done in specialized units where healthy skin is grafted over the vitiligo patches. The melanocytes in grafted skin start producing melanin which gives color to the patch. Although usually eczema patches are red, dry and itchy, there can be white spots or patches in face and body which are also itchy and dry. Itching can be intense, especially at night. Frequent scratching can lead to skin damage and lead to infection. Eczema is common in children but also occurs in adults. It can run in families and may associate with hay fever, asthma, and other allergies. Eczema has flares and remissions. Contact with allergens like strong soaps, pollen, dust, and smoking can cause flares. Remissions are disease-free periods and sometimes eczema will be dormant for many years. Use a good emollient to keep skin well moisturized. Applying on damp skin after a bath helps to absorb the emollient well. For mild eczema, OTC product like hydrocortisone can be used. But seek treatment if the rash doesn’t respond or worsen with time. The doctor will prescribe a stronger steroid cream or ointment to apply over the rash. Use as instructed for the prescribed duration. As prolonged use of steroids can cause many adverse effects. Anti- histamine-like chlorpheniramine, loratadine, fexofenadine or cetirizine can be used to reduce itching. They are available over the counter, however, caution should be taken to take the correct dose and frequency of administration. It is commonly seen as white spots, but sometimes can be brown or pink. 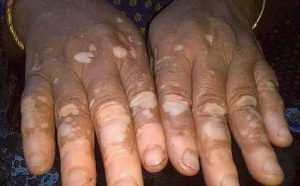 Pityriasis versicolor is more visible in people with a darker complexion. There is also itching and scaling due to dryness. This is caused by yeast growing on the skin called Malassezia which is a fungal infection. It is commonly seen in people with excessive sweating and who live in warm, humid climates (tropical countries). Sometimes the infection is widely spread in patients with a weak immune system as in cancer and AIDS patients. Apply an OTC anti-fungal product like Miconazole, Clotrimazole, Ketoconazole or Selenium sulfide. Treatment should be continued for 6-8 weeks and even longer. Seek help if there is no response to treatment where the doctor can add an oral anti-fungal along with a stronger cream. White spots can appear on the face, arms, and legs due to excessive sun exposure. There is no itching or pain. These white spots are harmless but if concerned seek help from a doctor. These are commonly seen in people who do outdoor activities and spend a lot of time in the sun. Vitamin E and D deficiency and Calcium deficiency can give you white patches on the skin. These spots are harmless. They are reversible once deficiency is corrected. These gradually fade away once you start eating a nutritional, balanced, healthy meal. Taking a multivitamin for about 3 months may also help. These are round or oval lesions seen on the face which are commonly white but sometimes pink. They are dry and scaly. Pityriasis Alba is commonly seen in children and young adults. 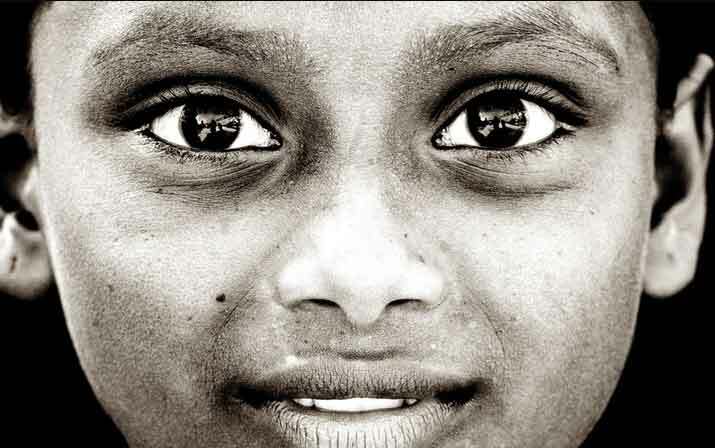 It affects people with a dark complexion more. These patches can fade away with time. Want to know the best cure for vitiligo & other skin diseases? Download our app and find a probable skin solution.